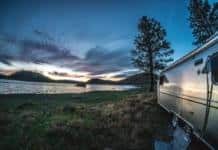 If you’re not accustomed to boondocking, you might think that when you are truly boondocking — camping out away from any hook-ups or other amenities, not in a campground and on free public lands — you also don’t have any rules to follow. • Pick a campsite away from others. Most boondockers, until otherwise determined, value their solitude and privacy, and prefer not to have neighbors close by. • Upon arrival, walk the site with a bag and pick up any man-made trash left behind by previous campers. Just do it and don’t fret about it. It won’t take you long. • Find ways to hang things other than driving nails into trees. • Keep your campsite neat. Put things away when not in use. Nobody wants to see all your stuff scattered about like a yard sale in progress. • Pick up only downed and dead wood for a campfire. Chopping limbs off trees or uprooting bushes to burn is something only clueless teenagers would do. • Think safety when building a campfire. Scrape all debris several feet away from your fire and keep your fire small. • Build a rock ring or dig a depression to contain the fire. • If you build a campfire, anything that will not burn to ashes, carry it out. • Be mindful of current fire restrictions — and obey them. • If you dump the gray water from dishwashing and rinsing, wipe all food bits off everything with a paper towel first. • Always use biodegradable soaps. Dump gray water on thirsty plants or bury in a hole away from your campsite. • When you leave, your campsite should appear as if no one had been there, just the way you would like to find your next boondocking site. Remember that the way others — hikers, off-road wanderers, officials — see your site is the way all RVers are seen. Set a good example — that of a responsible, environmentally aware, and conservation-minded steward of the land. It’s good for all of us. And thank you for doing so. Previous articleRV Electricity – Can an RV be plugged into a Tesla charging station? Next articleAstronomy for RVers – Black holes are real! Your RV plumbing: Shake, rattle and roll! My dad taught me 60 + yrs ago. Put a rope around the tree if you need or want to hang something from the tree. Try not to break the bark loose and use the smallest rope you can for what you need to hang. Then remember to remove it when you’re done. 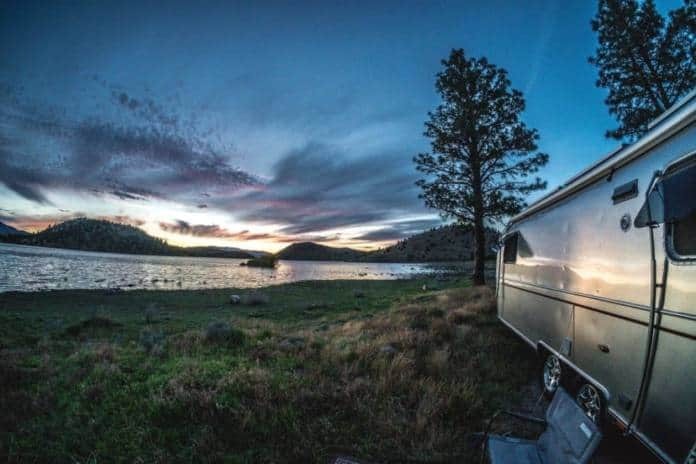 Have spent 12 winters in Arizona boondocking, and this year was the worst. Had people camping way too close; could hear their rap music and barking dogs. I have a new plan. I’m going to print this article off and use gorilla tape to tape it on their front door…..doubt they’ll read it. I always enjoy your articles, Bob. One of my pet peeves is when people drive off the established roads or pull-offs and parking spots and drive on land that has not had (or is not supposed to have) vehicle traffic. Especially here in the west where rain is sparse, it can take many years for the damage to mend. What is your take on this? I guess where to park could be a column all by itself. Maybe some guidelines are in order. Happy camping! If people are driving on dirt, I don’t see much of a problem. Dirt is dirt. But, if they’re driving over and damaging flora, then that’s a problem.